Roger Cliff was presented the ‘Distinguished Service to Wisconsin Agriculture’ award for his outstanding, long-term contributions to Wisconsin’s agricultural industry during the Wisconsin Farm Bureau Federation’s 99th Annual Meeting in Wisconsin Dells on December 2. A Wisconsin native, Cliff grew up and graduated from Lancaster High School. With an interest in how governments functioned, he majored in political science at UW-Platteville where he met his future wife Cathy. Cliff started his career with the Wisconsin Farm Bureau Federation in 1973 as a lobbyist working alongside Bill Kasakaitas. One of Cliff’s first assignments was promoting a statewide referendum on a constitutional amendment to change the uniformity clause for taxing farmland. The referendum passed but getting use value assessment of farmland implemented was a challenge. During his career, Cliff worked with eight governors and hundreds of legislators to shape agricultural policy. Cliff served on a committee charged with rewriting the state’s eminent domain laws. Another change was the formation of the WFBF’s political action committee, the Volunteers for Agriculture. 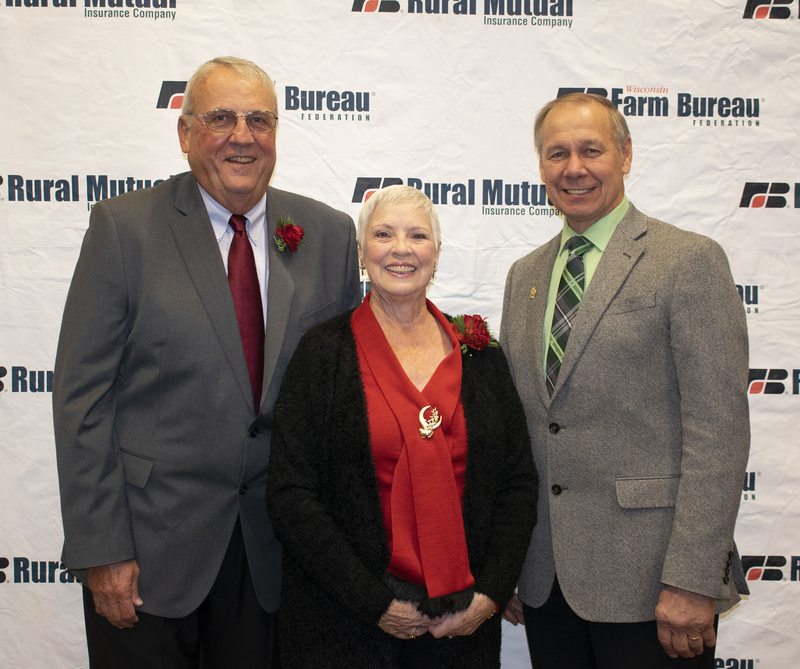 “Roger was a critical player in many successful Wisconsin Farm Bureau Federation’s legislative efforts throughout his career,” said WFBF President Jim Holte. After working for the organization less than four years, he was appointed executive director of governmental relations and a short time before his retirement, he was named Chief Administrative Officer. Cliff and his wife Cathy are the proud parents of three adult children and have eight grandchildren.